Oh-Oh! 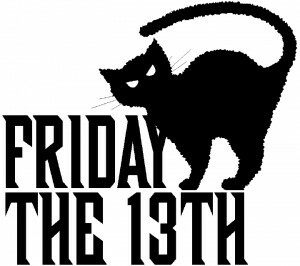 It’s Friday the 13th! Don’t step on any cracks! If you encounter a ladder, be sure to walk around it! Throw salt over yr. shoulder and don’t put shoes on the table! Is it the Ides of March? just as susceptible as others when it comes to superstitions.